Good morning all. Teresa here. I've been busily making more flowers and such for this offbeat bouquet. See previous tutorials HERE and HERE. Today I'm featuring two more shapes and both were super easy to do. Gather your shapes - carefully punch them out - keep that little round piece in the center of the cross. Emboss both sides of the cross with the Mermaid Tears Powder - this is such a versatile color. 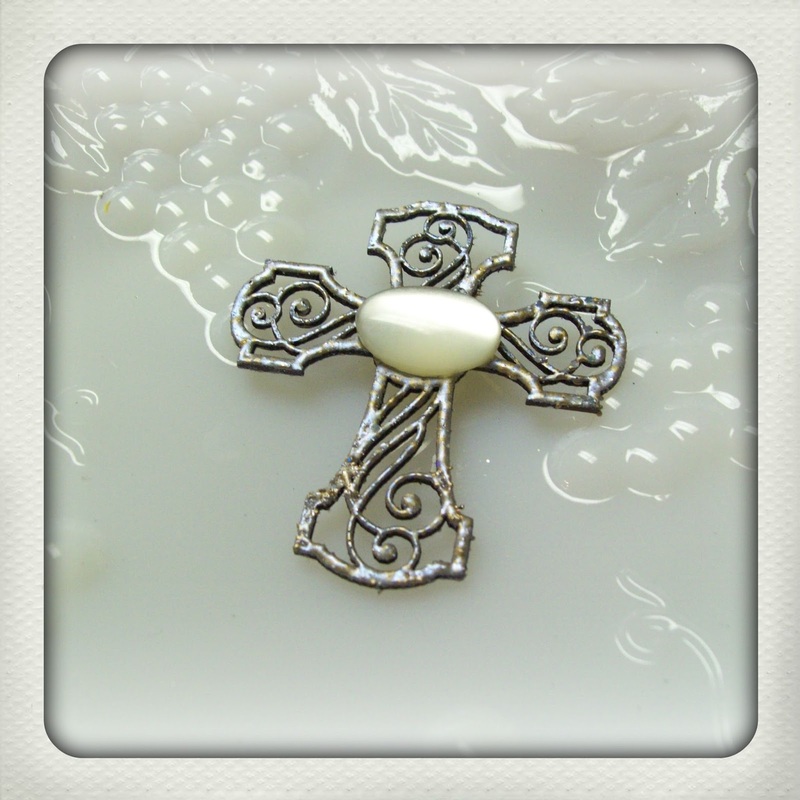 Add a pretty pearl shank button to the center - I glued this with the Glastique Matte Gel. For the final assembly, I will wire through the shank of the button. 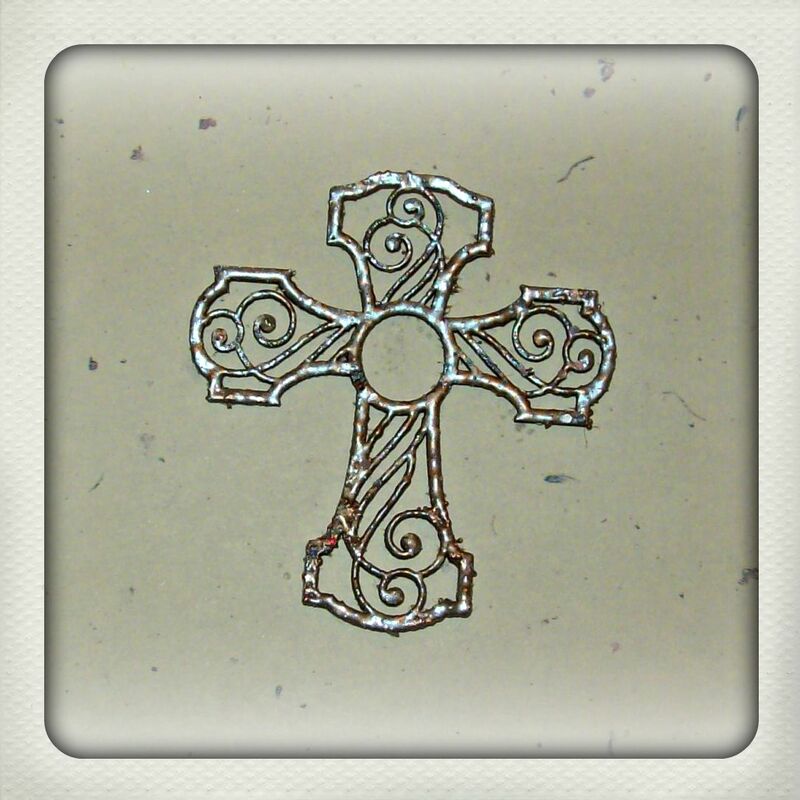 The cross element is now complete. Wiring any of the shapes into the bouquet has to be considered. Each of these has a designed in way for that to happen - those details will be added in next weeks final assembly post. 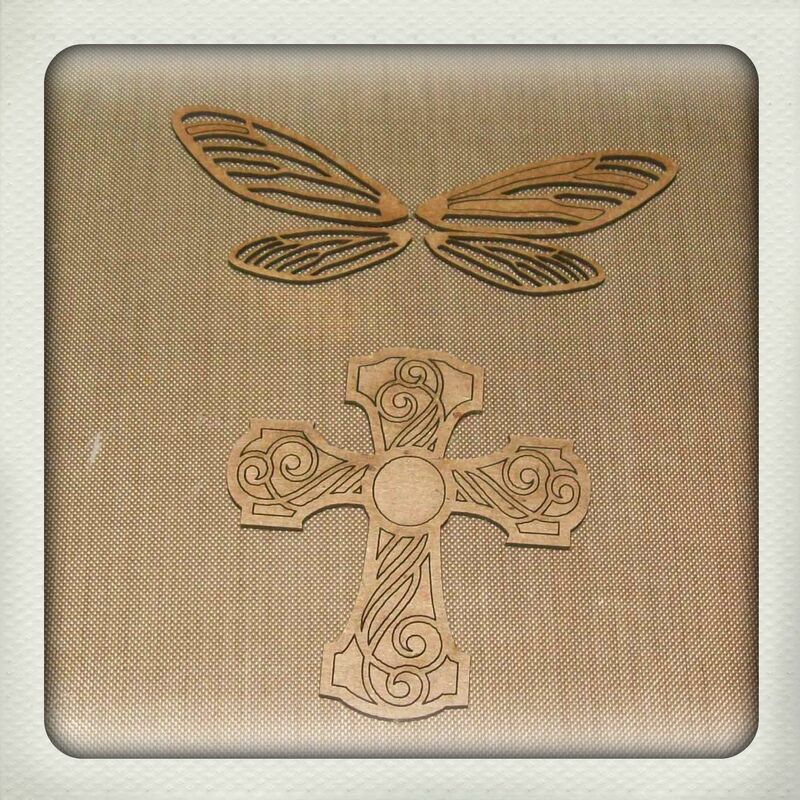 Next - lets make a dragonfly - now let me just say, this may be my favorite creation ever. This turned out far better than I imagined. Emboss two large and two small of the fairy wing set with the Mossy Glen Powder. Also emboss the little circle from the cross with Mossy Glen. Glue to tissue paper - let these dry and trim. 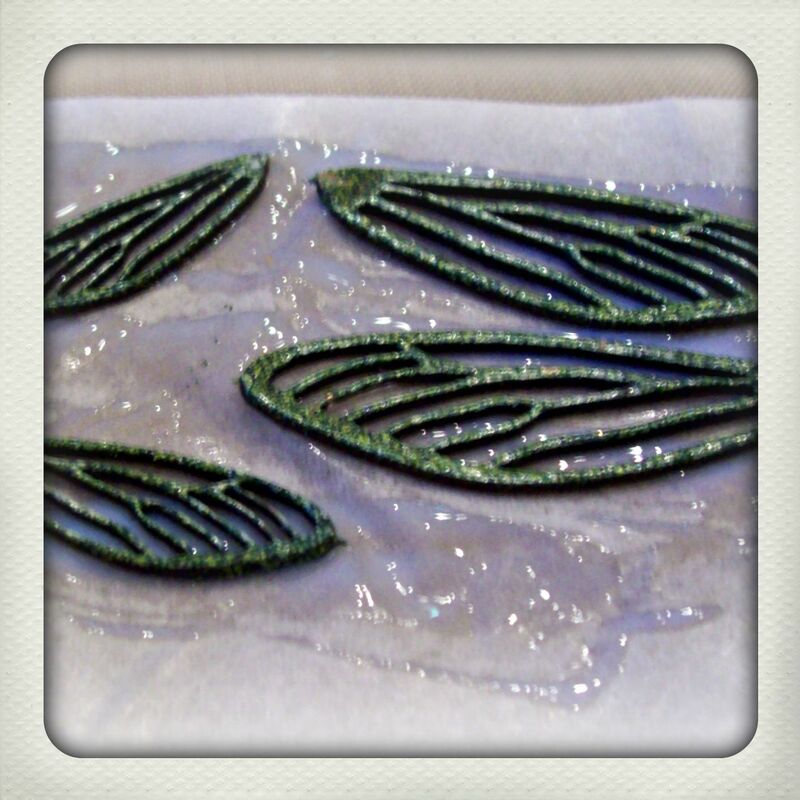 Then using the fine line applicator tip and the glastique- and the technique described here - fill in the areas you want to glitter. Sprinkle on the glitter and patiently wait for this to dry. 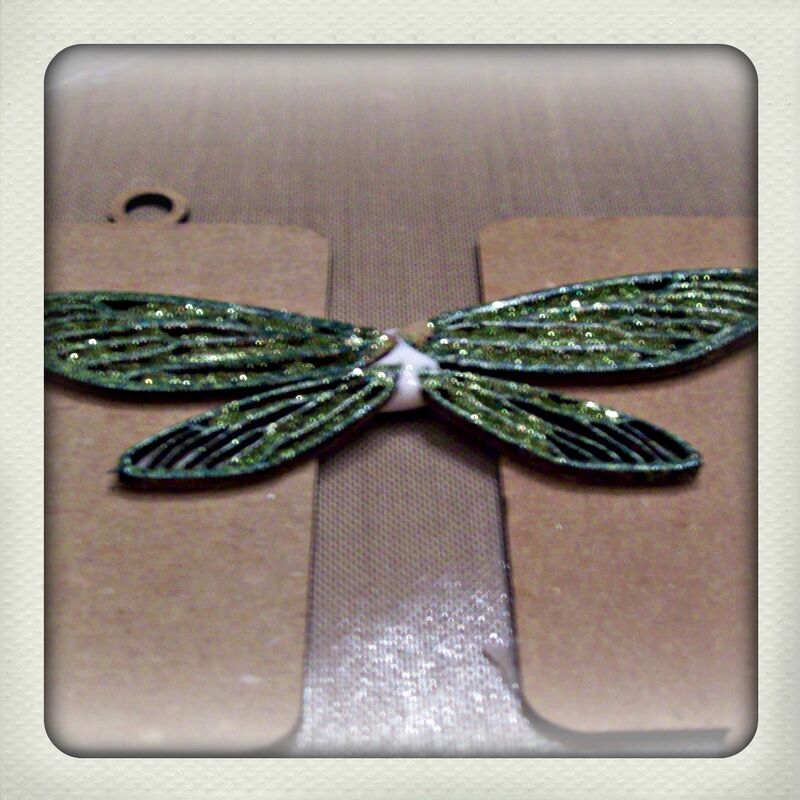 Once dry assemble the dragonfly wings. To assemble these - glue them to the little circle from the cross center. I used quick dry tacky glue and as you can see, I propped up the wings so hey would dry level. 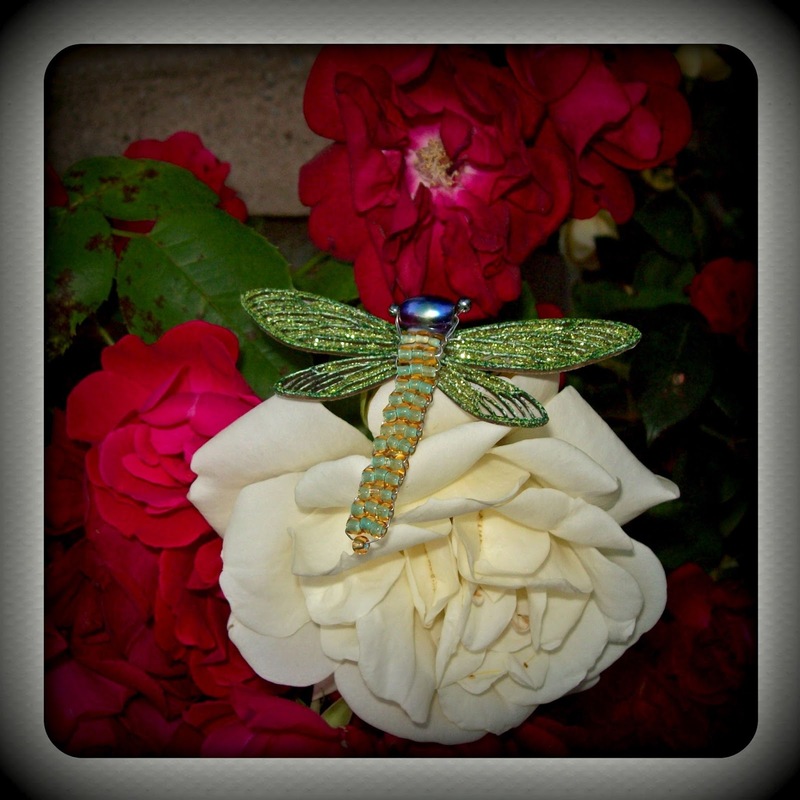 While this dried, I beaded a dragonfly body using a variation of my own, but from these basic instructions. I glues the dragonfly head and body to the wings (again with quick dry tacky glue). Just look --- yes I like this one A LOT. There will most likely be a blue toned one in the bouquet as well. I'm looking forward to putting all these elements together with some lace, buttons, and silk florals for a wonderful - Vintage Brooch inspired bouquet. Be sure and visit the archives, I've used a lot of the ideas and techniques from the blog in several of my creations. There is a wealth of inspiration and how to in those previous posts. 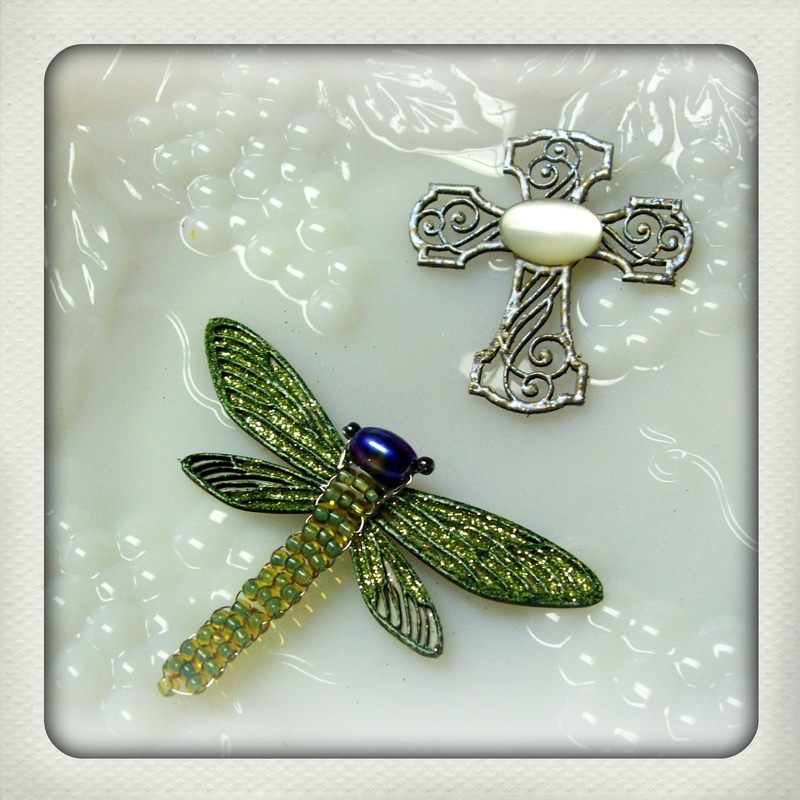 What beautiful pieces, love how you made the dragonfly. Awesome! !